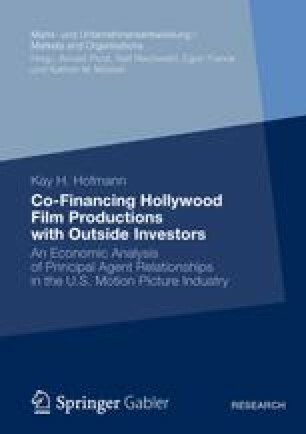 In this section I focus on the principal agent relationship between a film project’s initiator and an external financer. Although financers have helped to fund independent motion pictures, I restrain the analysis to the mass market by considering only films that have been released by a major or mini-major distributor in the domestic market and furthermore exclude all projects that have been produced exclusively by one or multiple independent production firms (i.e. without the involvement of a studio or a mini-major).